As of 2018, the brand has been branching out beyond topical makeup and skincare to launch its first-ever ingestible beauty products—we're talking about supplements, of course. So far, there are two different versions. Both are formulated with targeted ingredients to benefit your skin and gut health from the inside out. Keep scrolling to see which one might benefit your beauty and wellness routine. 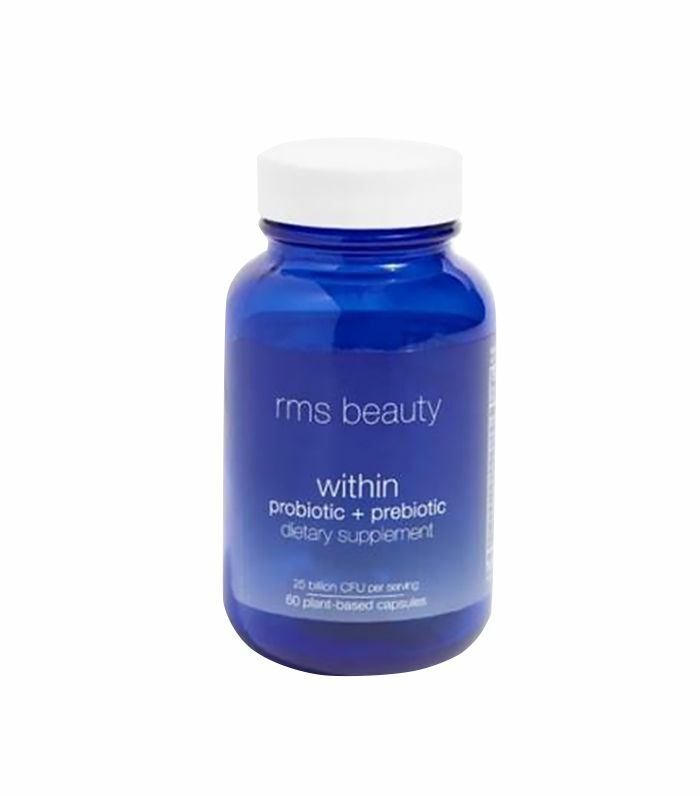 The first is this probiotic and prebiotic supplement, meaning it strengthens and diversifies the cultures of good bacteria that reside in your gut. These bacteria aid in everything from digestion to vitamin and nutrient absorption to immune maintenance. Each individual capsule delivers antioxidants (which are good for your overall well-being as well as your complexion), along with 25 billion colony forming units (CFU) of good bacteria. Next is another vegan and gluten-free supplement—this time it's a digestive enzyme (or a type of protein that initiates chemical reactions in your gut). It aids in digestion by helping to break down fiber, carbs, fat, and protein. In other words, it speeds up the digestion of food, making for a smoother and more regular tract. According to the brand, consistently taking digestive enzymes provides anti-aging benefits, as well as a better overall feeling of well-being and health. Both of these supplements are exclusive to Free People, which isn't surprising considering the two brands have collaborated before, creating a special and limited-edition Lip 2 Cheek Palette. Head to Free People's website to see both supplements plus a bevy of other top-selling RMS skincare and makeup products.